Most of us do, especially if it’s been over a year since your last eye exam. But why get an eye exam at all? The most common reason to get an eye exam is if you are having trouble seeing. That may sound obvious, but there are lots of people who put off having their eyes examined even when they cannot read the words on a page (or a computer screen) right in front of them, or if they have trouble seeing the road signs when they are driving, or if they can’t clearly see the people they love, standing right in front of them. Note: You can make an eye exam appointment right now either by calling our office, or using our online appointment link at the top of this or any page. But there are many other reasons to have an eye exam, too. One important reason to get an eye exam is that your eyes age, just like the rest of your body does. That means they don’t work as well as they used to, and can develop some diseases that you might not even notice. 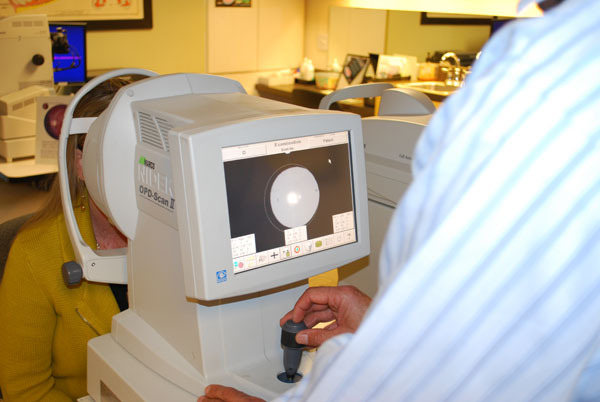 Modern eye exams are computerized for the most accurate prescriptions possible. 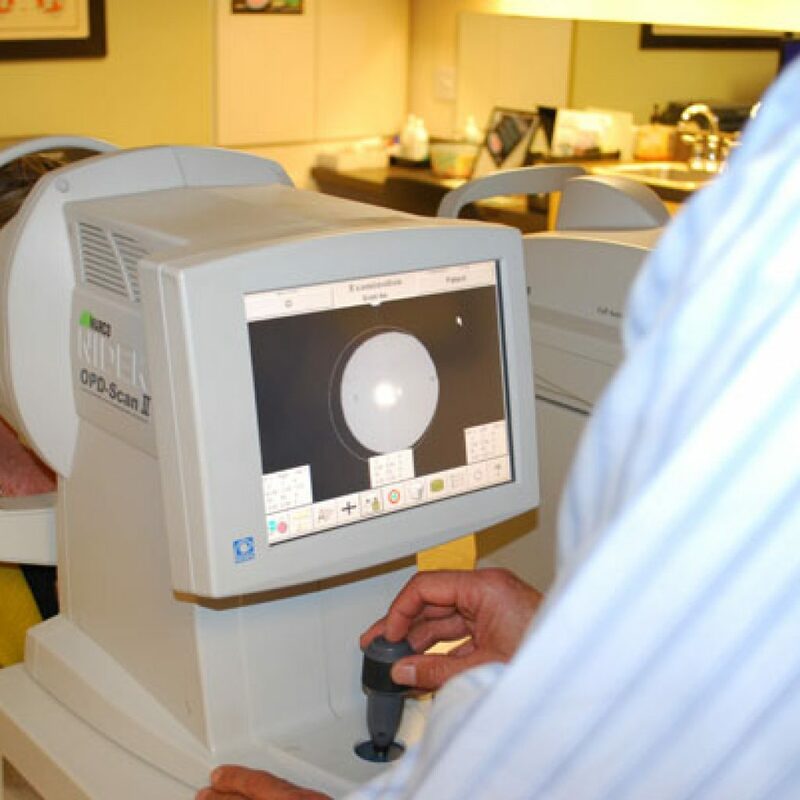 Early detection for conditions such as glaucoma, tunnel vision, Keratoconus, blind spots, and even retinal bleeding can be tremendously helpful in curing those conditions. Believe it or not, you might also be suffering from color blindness and not even know it. More commonly, though, it’s just that your vision is changing. You might be developing nearsightedness or farsightedness, either slowly or quickly. Or, the muscles in your eyes may simply be getting weaker, making it more difficult to focus. Whatever you notice about your vision, or whatever you might not be noticing, are reasons enough to schedule your next eye exam today. And, you can do no better than visiting the optometry offices of Dr. Barry Leonard in Panorama City. 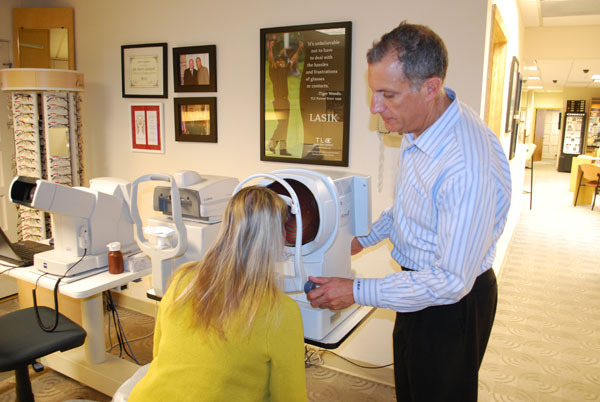 Located in Panorama City, in the heart of the San Fernando Valley in California, Dr. Leonard’s office provides the most state-of-the-art eye exams in Los Angeles. All of our computerized testing equipment examine your eyes and automatically feed their information directly into our integrated computer system. There, the information is collected, analyzed, and combined in order to give you the most accurate profile of your eyes and your vision. Add to that Dr. Leonard’s optometry experience since 1957 of understanding the human eye and real people like you, and you will discover what it is finally like to finally be able to see clearly again. 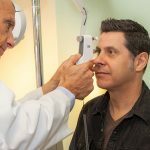 Make your eye exam appointment today by calling Dr. Barry Leonard’s office at (818) 891-6711, or by using the online appointment link at the top of this and every page. We are looking forward to seeing you… and to you being able to see your loved ones, maybe for the first time in years. Make your eye exam appointment now. 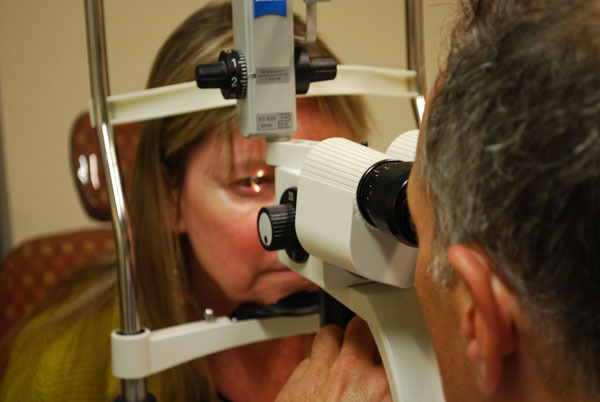 Early detection of some eye conditions can reduce or prevent their most severe effects. Schedule your eye exam today.